Do Short Haired Dogs Need Grooming? Pets can’t talk, but if they could they’d probably have a lot to say to humans, especially about how they’re treated. Oftentimes the owners of short-haired dogs think to, “Well, Fido has short hair so he doesn’t need grooming.” Meanwhile Fido is like, “Can I get some grooming, please?” Alas, dogs can’t talk… so there are articles like this to speak for them. Despite the fact that many dog owners automatically assume short-haired dogs don’t need grooming because, well, “short hair,” that is ultimately a myth that needs adjustment and correction. Just like humans with short hair still take baths/showers and keep themselves groomed, short-haired dogs benefit from grooming sessions, too. Want to help eliminate all those hairs you find on your carpet? Want your pet dog to be able to regulate his/her body temperature more effectively, staying cool in the heat and warm in the cold? 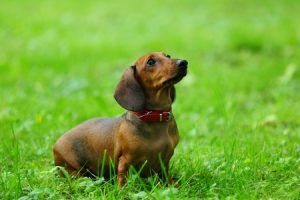 What’s more, do you want your dog to look and feel better? Then have your short-haired dog groomed. Grooming is good for all dogs. A brush is used to get rid of dead undercoat. After this initial de-shedding, the dog gets a nice bath, which helps remove more of the dead undercoat. A Coat King brush may be used to scrape away any dead fur that the brush and bath didn’t get to… meanwhile, a grooming session also means your dog’s ears will be cleaned out and his/her nails clipped. Much like people enjoy being pampered at a salon or spa, dogs, too, enjoy a good grooming. Their fur can look refreshed and shinier after grooming. D’Tails Grooming of Augusta, Georgia, is run by Jana and Tracey, both of whom have been grooming dogs for decades. Jana started in 1978 and Tracey in 1990. They’ve groomed countless dogs over the years, including plenty of short-haired ones. If and when you want your short-haired dog to look and feel better, don’t hesitate to make an appointment with Jana, Tracey and staff at D’Tails Grooming– just call 706-731-0089. You can also use email for communication– dtailsgrooming@gmail.com. D’Tails Grooming is located at 1275 Marks Church Road in Augusta, GA.
Can Dogs Sense Your Emotions?